Product prices and availability are accurate as of 2019-04-20 15:45:15 UTC and are subject to change. Any price and availability information displayed on http://www.amazon.com/ at the time of purchase will apply to the purchase of this product. 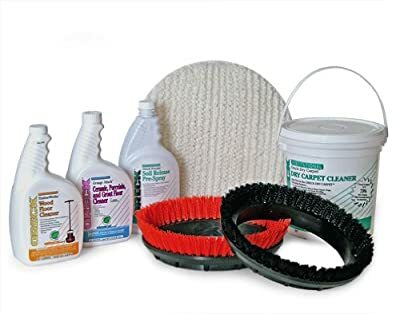 The Oreck Orbiter Complete Clean Kit Includes everything needed to optimize cleaning performance of your Oreck Orbiter on all types of flooring.The kit contains; 1 terry cloth bonnet, 1 black carpet brush, 1 orange scrub brush, 1 4 pound dry carpet cleaner.